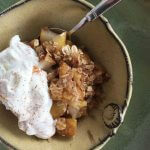 Try Super Easy Shortcut Pear Crisp for a simple fall dessert that cooks while you eat dinner. 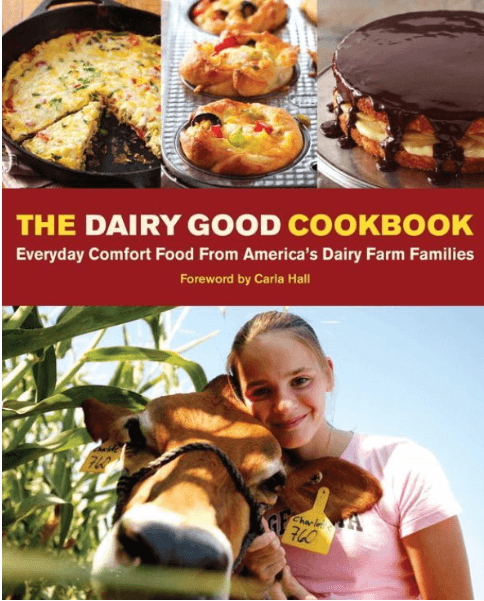 In honor of the 100 year anniversary of The National Dairy Council and the new Dairy Good Cookbook, I was challenged by my colleague and fellow RD, Kim Kirchherr, to give a personal spin to one of the recipes in the cookbook. 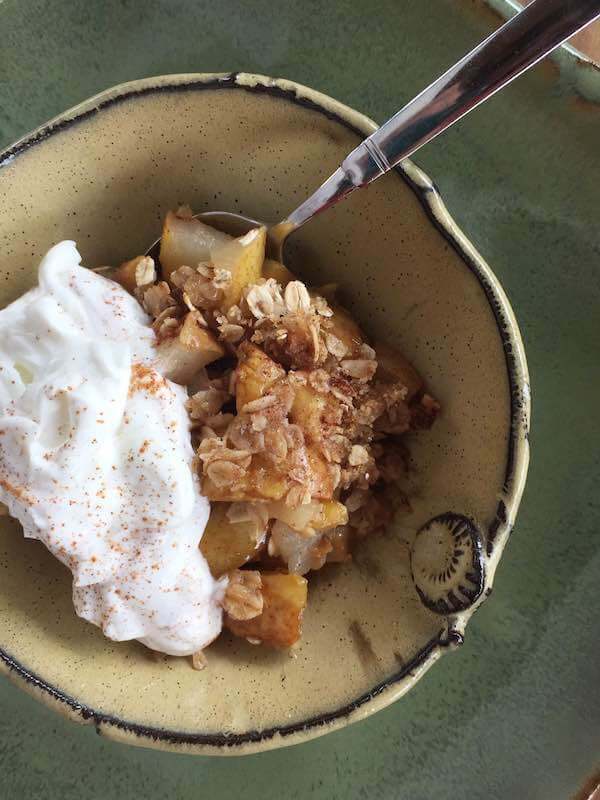 I took the Honey-Baked Pears with Vanilla Yogurt and Granola and turned made them into a simple pear crisp with oatmeal streusel. 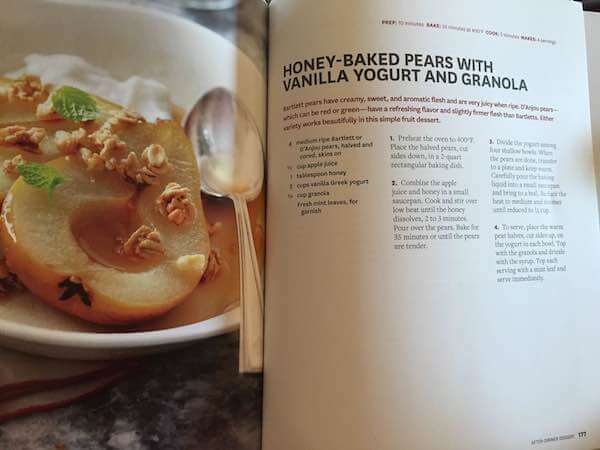 For this recipe, I used ripe pears that were too bruised and battered for my girls to eat whole, chopped them, and tossed with a little lemon juice. I left the peels on for ease and added fiber but if you prefer to not have the peel, take the extra step to remove. I added the pears to a square baking dish and topped with a simple oatmeal streusel of oats, brown sugar, cinnamon, salt, and cold butter. 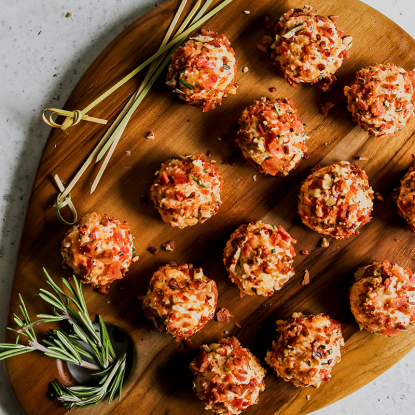 You can follow all of The Dairy Good Cookbook recipe hacks by following the hashtag #NDCrecipehack on Facebook. Disclosure: I proudly serve as an ambassador for the National Dairy Council. 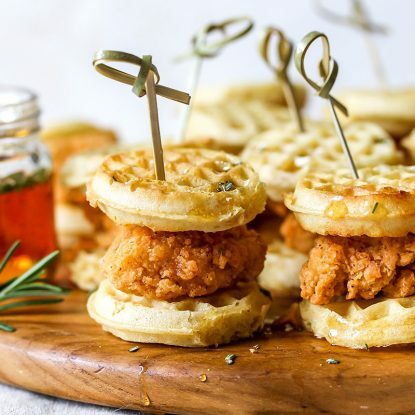 I was compensated to make this recipe and share on social media but was not required or compensated to share on my personal blog. Toss pears with lemon juice and add to an 8x8-inch baking dish. Toss together oats, sugar, cinnamon and salt then cut in butter using pastry blender or 2 forks until it resembles a coarse meal. Sprinkle evenly over pears. 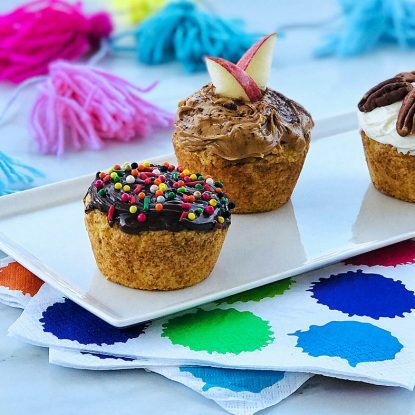 Bake at 375 degrees for 40-45 minutes or until topping is browned and oats are bubbly. Top each serving evenly with Greek yogurt. Sprinkle with additional cinnamon, if desired. love crisps, especially with fall produce! Yes! And they’re so easy too!